Bahati Member of Parliament Kimani Ngunjiri has come out to sensationally accuse Central Organization of Trade Unions Francis Atwoli of having a plot to eliminate Deputy President William Ruto. Ngunjiri spoke on Sunday, April 14 in response to explosive remarks made by the COTU boss on Saturday. The 69-year-old fiery trade unionist who claimed Kenya will have a new Constitution ahead of the 2022 General Election boldly affirmed Ruto would not appear anywhere in the contest. None of Ruto’s allies took the comments lying down and it was the Bahati lawmaker who came up with the most vicious response. In an interview, Ngunjiri boldly accused Atwoli of having an ulterior motive against Ruto because according to him, the COTU boss was too certain that the DP would be missing from the ballot. “What Atwoli said is a matter of national significance because the only guarantee that the DP cannot be in the ballot is to kill him. We therefore to demand to know how he (Atwoli) plans on ensuring the DP is not in the ballot,” Ngunjiri spoke on Sunday. Ngunjiri went on to declare that should anything happen to Ruto, then Atwoli should be held accountable. “I want it to go on record that should anything happen to our deputy president Atwoli should be answerable,” he went on. Ngunjiri is not the only one who has come out guns blazing against Atwoli for trashing the DP's 2022 chances. 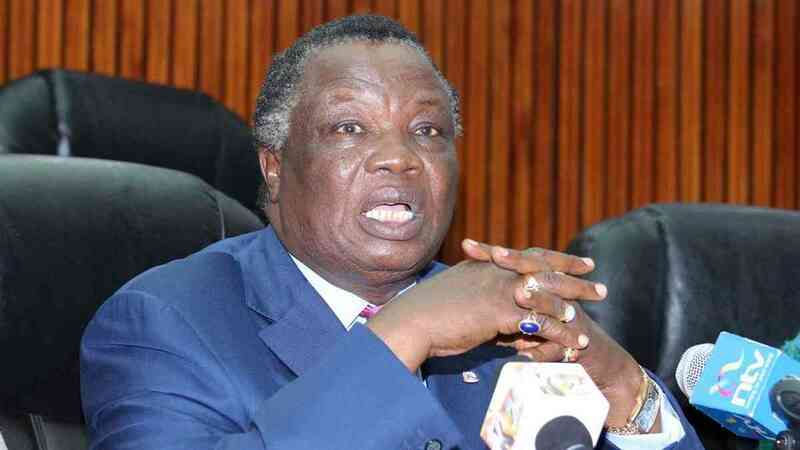 Politicians perceived to be members of the team Tanga Tanga faction of the ruling party questioned Atwoli's state of mind and wondered what he could be planning to do to stop Ruto from contesting.